Shinzō Abe’s visit to India comes at a time when the security environment around Japan has dramatically changed. The imminent threat to the regional stability is posed by North Korea’s Missile program and its provocation of Japan in the recent nuclear blast. Given these challenges, Abe's forthcoming visit to India holds great strategic significance. 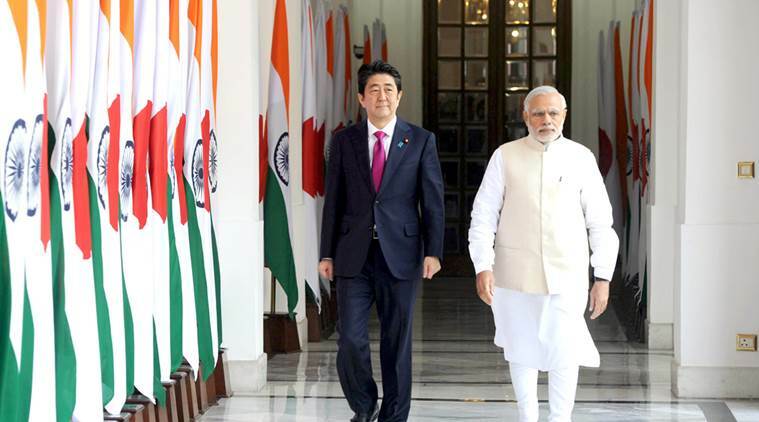 Japan-India relations took a new turn with the signing of the “Special Strategic and Global Partnership” in 2014. This “special strategic” component and the world at large, and undoubtedly 'China' will factor heavily in the diplomatic talks between Tokyo and New Delhi- ensuring implications on the commitments of the two nations to strengthen their strategic partnership. The crux of Abe's diplomacy will feature the bilateral developments that have occurred during the past year compounded with the third country factor such as China, North Korea, and Russia –is likely to dominate the discussion on strategic partnership. Abe will most definitely share his concerns on the position taken by China and Russia on North Korea’s nuclear venture. Likewise, Abe will put forth his apprehensions on how China and Russia will find loop holes in the sanctions imposed by UN on North Korea in order to continue their respective trade with North Korea. In addition, China’s continuous claim over South and the East China Sea along with its growing interest in ports of Pakistan and Iraq is a cause of concern for Japan and will find some mentions. Countering China through multilateral military exercises with USA, Australia, and India has been Japan’s strategy in 2016-2017, thereby, staking its claim in the Indo-Pacific region. This will be mutually commended by both India and Japan, and going further, similar commitments with more countries will be on their agenda. Since the Doklam incident, India is convinced that China is in a confrontational mode. China’s game plan of connectivity is revealing its strategic undertone. The ambitious “Belt and Road Initiative” (BRI) has caused anxiety among all regional powers. China’s plan for a Bangladesh-China-India-Myanmar (BCIM) Economic Corridor, which goes through the contested part of Arunachal Pradesh and the China- Myanmar trade corridor with Kyaukphyu port as the end, which singularly helps China in securing energy through pipelines from which gas and oil are pumped from the Bay of Bengal are raising concerns. While China terms it as mere economic interest, the securing of the port is strategic, as it helps China operate in the Bay of Bengal and closes the gap in its operational interest in the critical Sea Lines of Communications (SLOCs). All these attempts by China have resulted in India’s alarm and growing paranoia of the threat of ‘encirclement’. As China uses a multi-pronged approach to emerge as “The Asian Power”, Japan is struggling to establish stability by pushing for acceptance of the existing international order. In view of this, Japan's power struggle with China is most evident in Africa. Wherein, Japan relies on India to understand the African market and negotiate deals to counter China, which has gained a substantial foothold in the continent. Thus, 2017 has seen Abe meet Modi on the sidelines of G7 and G20 summits to continue their dialogue on the Asia Africa Growth Corridor (AAGC) since its conceptualization under the India-Japan vision 2025. This not only looks at investment in Africa but is also in alignment with Japan’s Free and Open Indo-Pacific Strategy and Expanded Partnership for Quality Infrastructure (EPQI) and contributes to India’s development cooperation with Africa and Act East Policy. Hence, this meeting will bring clarity on the definitive projects under this umbrella. In matters of economic partnership, “high-speed railway corridor” will be the highlight with few more lines added for consideration. Other infrastructure commitments will also be made with respect to ports and roads. Financial commitments in areas of sustainable development, cleaner water system, and renewable energy will also find a place. The defense sector would also be high on the agenda not only regarding Japan supplying ShinMaywa US-2 STOL amphibious aircrafts, and Mitsubishi-Kawasaki consortium getting an RFI from Indian navy for submarines; but given the alarming growth of North Korea’s missile program, Japan, in turn, will look towards India for support in defense equipment. Unlike other sectors, the defense sector has a strategic angle and thus, deals take long to materialize durations. The above-mentioned deals are testing grounds, and positive indications from Prime Minister Narendra Modi regarding this will augur well. On the whole, this visit will have a stronger strategic component embedded with economic commitments- a financial commitment from Japan in infrastructure with an emphasis on “quality infrastructure investment”; defense collaborations in military industries as well as military exercises and stepping up people-to-people contacts. A partnership which was considered largely economic, has as a result of complex dynamics of the Asian region, changed to encompass strategic considerations, and will this time round address issues that are of immediate concern but have long term impact on ‘peace and prosperity’ in the Asian region. Dr. Srabani Roy Choudhury is a professor in Japanese Studies, Centre for East Asian Studies, School of International Studies, Jawaharlal Nehru University. She joined the University in 2006. An alma mater from Jawaharlal Nehru University, during her Ph.D. she was the recipient of Japan Foundation fellowship and affiliated to Institute of Social Science, University of Tokyo. Since her tenure in JNU, She has been a visiting fellow at Policy Research Institute, Ministry of Finance Japan and REIB Kobe University. 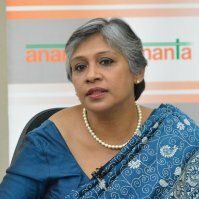 Her research interest lies in the area of Japanese investment in India and policies surrounding this subject and her recent publications are centered on India Japan relations with emphasis on economic partnership, Japanese Multinationals experiences in India, their entry strategies, and their survival techniques.